First, a bit of background. The UK director of Frizzenti, Daniel Spinath, accepts that the wine his company distributes cannot be called ‘processo on tap’, though it’s perfectly legal to sell sparkling wine from the Glera grape (i.e. Prosecco) in just that way. But, as he says, not many people know that prosecco comes from Glera grapes. 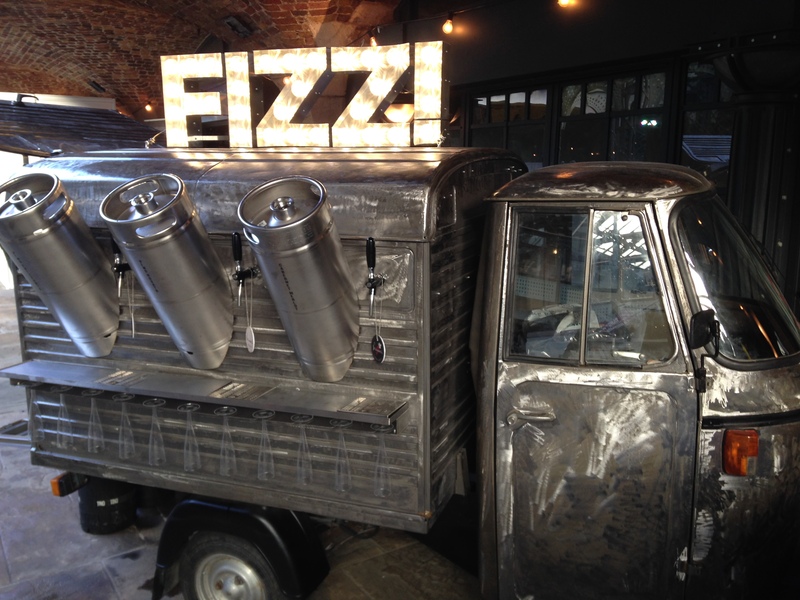 Step back a hundred years and more and fizz on tap was to also to be found in London. The Bodega chain of wine bars – set up in 1868 by a serial entrepreneur named Robert Lavery and floated in the 1880s – had its own brand champagne on tap. They registered a dispensing device for the purpose as well as a wonderfully ornate wine-cooler. Not a cooler but a much classier champagne tap was this wonderful device created by Pommery and used at grand cellar dinners in the 1920s. The tap was in the form of a swan’s beak and men in the cellar down below were emptying magnums of Pommery into reservoirs as fast as they could go. This is the way to take your champagne on tap I suggest – though probably not allowed today. 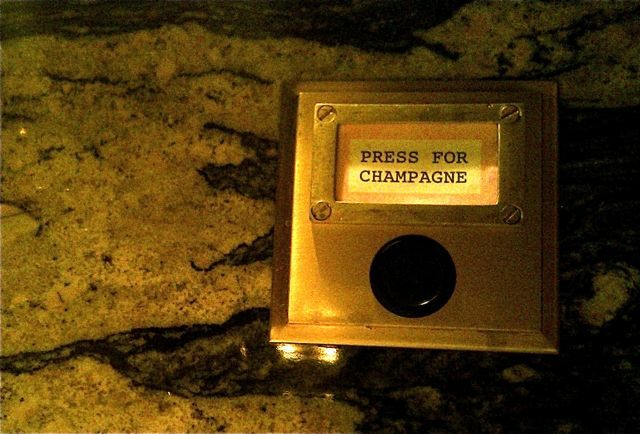 It makes London restaurant Bob Bob Ricard’s button look a little less generous… though it’s a lot of fun. 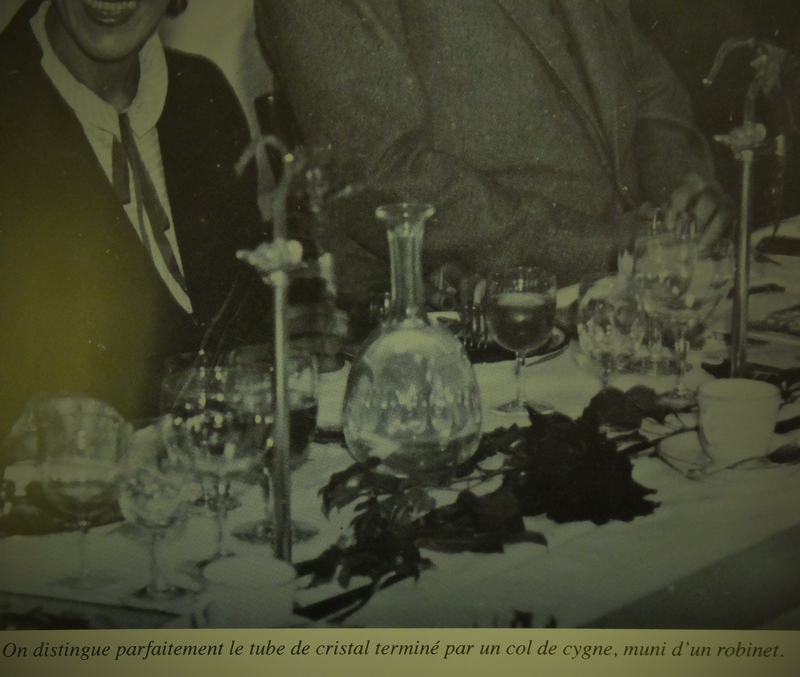 This entry was posted in The Miscellany and tagged Bodega, Pommery. Bookmark the permalink.